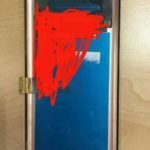 Even though HMD Global just recently announced the Nokia 8, and the 3, 5 and 6 are on sale for 2 months, there are already rumors and speculations about more Nokia models or even successors to the current line up. As always, there is no way to confirm how much a rumor is or will be true, so we recommend taking it with a pinch of salt. The latest info about Nokia 2, 7 and 9 comes from Philippines and is brought by gadgetpilipinas.net. 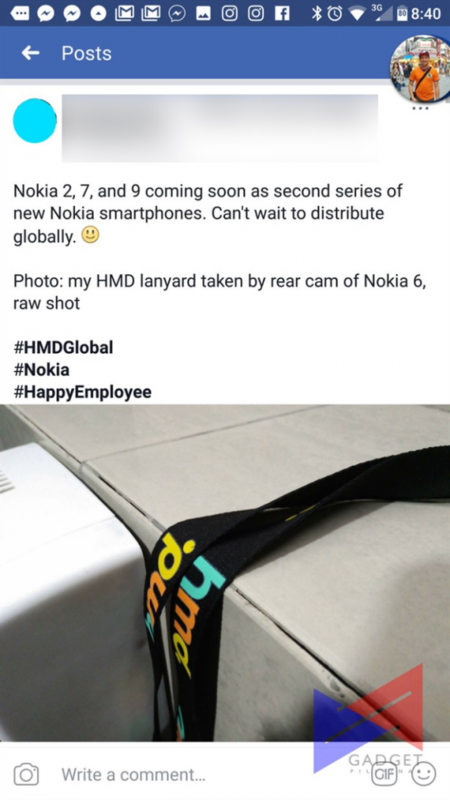 Allegedly, an employee of a BPO (Business process outsourcing) company that does logistics for HMD posted on a Facebook group that Nokia 2, 7 and 9 are coming early next year, as second series of Nokia smartphones. 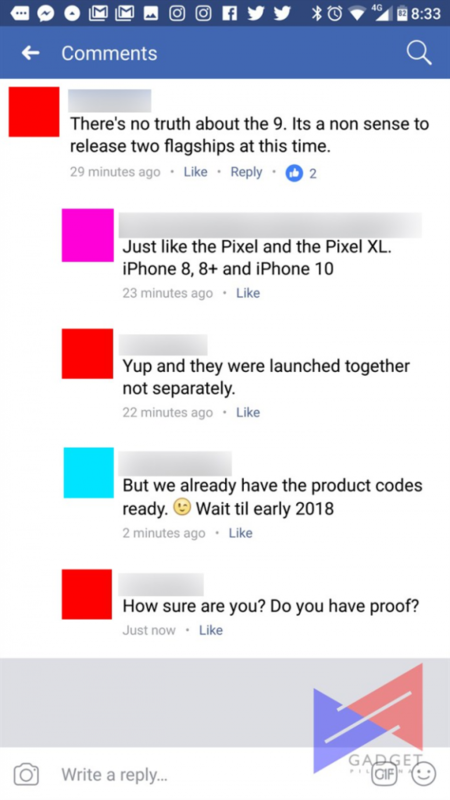 He left a few comments in the group, and had a conversation with an alleged HMD employee who didn’t know or pretended not to know about Nokia 2, 7 and 9. The post was later deleted. 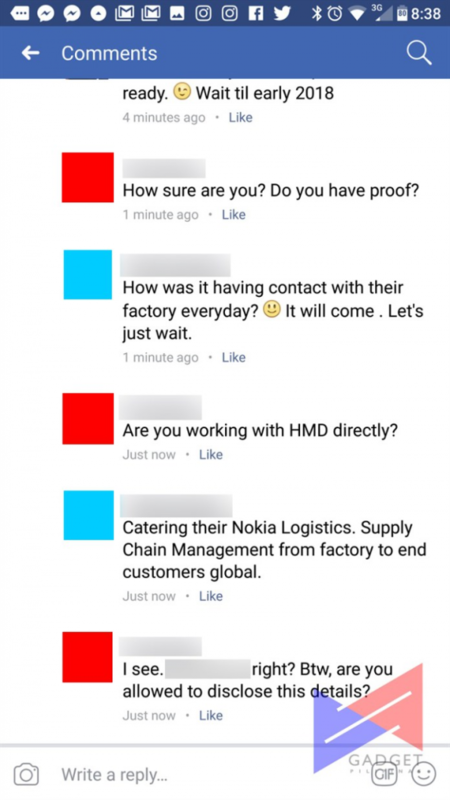 It’s almost impossible to confirm the above info, especially because it’s quite strange that HMD (or connected somehow to HMD) employees discuss unannounced products on a public (?) page, with their personal names. That’s one of the reasons I’ve doubts about this information. Another one is that we recently saw that two unknown Nokia devices, TA-1041 and TA-1042 passed CCC certification in China. We concluded that they are higher end devices, because they support fast charging. On the other hand, it makes sense to push back at least some of the above mentioned devices for an MWC unveiling. The Nokia 8 isn’t yet available in all markets, and announcing a new flagship so close to the 8 could hurt the sales. But HMD at the moment doesn’t have a real midrange phone, that would fill the gap between the 6 and 8. 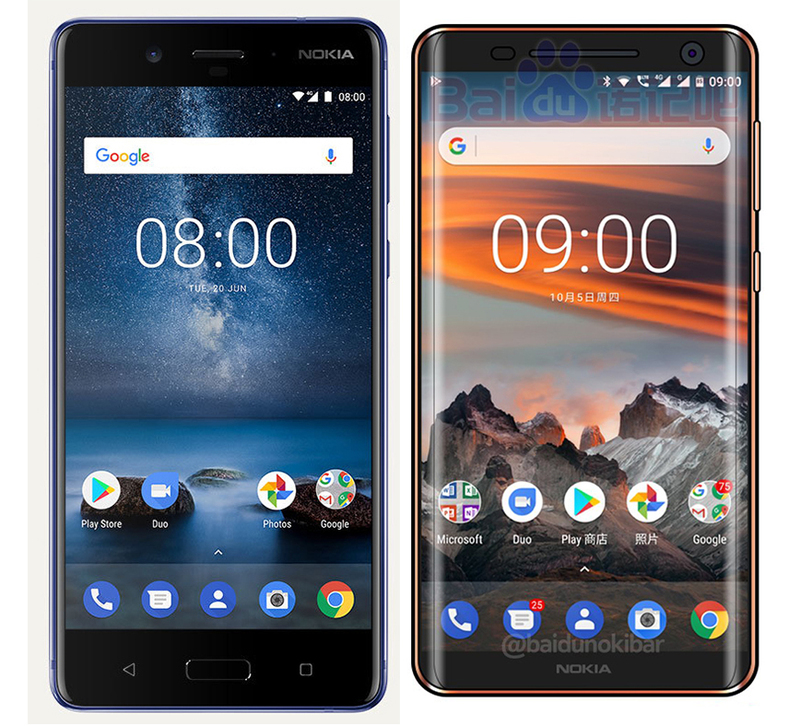 Introducing the Nokia 7 by the end of the year, and the 2 and 9 at MWC would make more sense, but we already saw renders of the Nokia 2 and the leaked front panel of the Nokia 9. All in all, there are a lot contradicting information floating around future Nokia devices made by HMD. It certainly would be better to focus on the current lineup (which, btw. 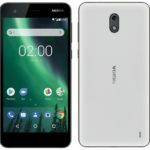 we are doing right now, and “soon” all the reviews of Nokia 3, 5, and 8 should be posted on the blog, alongside the already available Nokia 6 review), but we cannot ignore rumors (that make some sense and have some evidence), especially about the phones that target the part of the market HMD didn’t cover, like the €300-400 midrange segment or €700+ bezel-less phones segment.